A uniquely Australia Beer that has taken on the Craft Pilsner with raging success, it is clean, crisp and ultimately refreshing. The Good: Pilsners have a very distinct profile, they are often bitter, sharp and reek of Eastern Europe (in a good way). Needless to say The Damned does not disappoint; it is bitter, but not overly so; it is sharp in flavour, but doesn't overpower the beer and finally the hops that they are using (Motueka and Riwaka) only add to the flavour of this beer. Enjoyment: I have been to the Czech Republic and I have tried many Pilsners, most of which I genuinely enjoy. Of course there are times when you come across a plain Jane Pilsner and it is the most disheartening thing in the world. 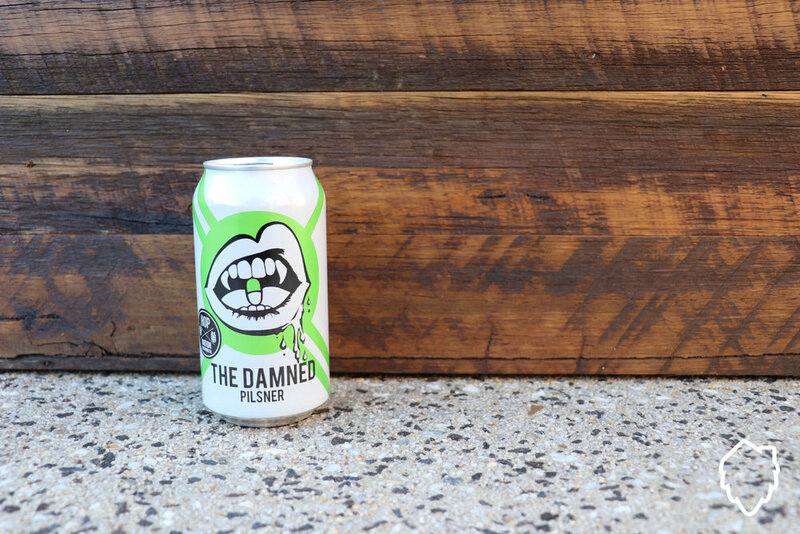 With that being said The Damned is a very refreshing, very clean tasting Pilsner that is exactly what is needed in Craft Pilsners. I mean seriously these guys have nailed a great Pilsner and no one is really doing craft Pilsners (tell me I am wrong, you see more Pale Ales and IPAs on the shelves than Pilsners, but that is an article for another time). All I can say is I dig this beer a lot, to the point that I would say that it is one of my favourite pilsners I have ever drunk. So what are you waiting for, order a slab, you will not be disappointed!